Use our attorney-drafted Property Management Agreement form to establish the responsibilities and liabilities a property management company will take on for your property. The Basics: What is a Property Management Agreement? 2. The Basics: What is a Property Management Agreement? A property management agreement allows you to set key responsibilities you want a property management company to carry out. A property management agreement is a contract between a property owner and the company or person hired to manage the property. This contract covers all of the responsibilities that a management company is taking on for the owner. This agreement does more than just explain the responsibilities each party will maintain. It should also cover the legal liabilities. A well drafted agreement includes a clause about the type of insurance coverage a building owner must carry for the building. Property management companies should purchase their own insurance to protect their business – this may also be stipulated in the contract. It’s important that both parties are clear on what is covered within the contract. Often, property managers and owners have a verbal conversation about duties and responsibilities. The contract supersedes anything that was agreed to verbally. On the fence about whether you need this agreement? Read our article, “Top 5 Reasons Landlords Should Hire a Property Management Company” to learn more. The sample property management agreement below details an agreement between the owner, ‘Dallas S Phillips’, and the agent, ‘Donald M Sammons.’ Dallas S Phillips appoints Donald M Sammons to provide building management services to his property. If you own a property and want to hire a company or an individual to manage it, you need this agreement. If you were working as a management company, you would also need this contract in order to protect your company. The contract helps to make the responsibilities clear. Not all management companies perform the same services. For instance, some management companies will take responsibility for the marketing of rental properties. Others leave that duty solely to the owners. The contract will reflect exactly what duties the management company will provide throughout the life of the agreement. If you own a property and would like to retain a company to manage the building, this agreement will protect your interests. If you own a property management company, this contract will protect your interests and provide written proof of negotiated terms with the property owner. Trying to figure out all the little and big legal responsibilities which come with homeownership can be stressful. A good property management agreement lays out all of the specific responsibilities for renting out property, managing the property, and following the local regulations related to the land and tenants. It is possible to enter into a verbal agreement for this type of partnership. Verbal agreements can be enforceable by law, but it can be difficult to prove what the agreement was without any written record. A handshake agreement works fine as long as the business partnership goes smoothly. A written contract provides better protection for both parties in the case of a dispute. Lays out reasons why either party might want to terminate the business partnership. Provides a definite time frame once either party serves the other with notice of termination. It’s standard to include clause that indicates that 30 to 90 days notice must be given, in writing, prior to terminating the agreement. Provides clauses that itemize the fees associated with terminating the agreement prior to the end of the contract. Answers questions that might arise from liability issues, such as personal injury on the premises. This agreement is essential to protect you from liability. It also provides a structure for a beneficial partnership between the owner and property management company. Each agreement should be designed to best fit the two parties and the property itself. For instance, an agreement for a commercial property housing multiple businesses will need specific considerations for the businesses located in the building. A residential property might have different considerations. Commercial property management agreements state that the owner of the building must purchase Commercial General Liability Insurance. It’s also standard that the property manager is named as additionally insured under the owner’s CGL policy for a commercial property. If you run a property management company, it’s advisable to create a standard contract for your business dealings. That contract can then be personalized for specific properties or kept largely intact. Your property manager can take care of a range of property management aspects – so long as they are clearly stated in your property management agreement. Services: The services section of your contract will discuss all of the services included in the agreement. For example: property management may agree to run credit checks on renters, fill vacancies in a set amount of time, maintain hallways and landscaping, provide timely repairs for tenants, collect rent payments, and complete any number of tasks necessary for the upkeep of a rental property. This area of the contract will lay out exactly what the management company is responsible for under the contract. All of these duties are included in the fees that are agreed to within the contract. Services Not Covered: Often services which are never covered will be stipulated in the contract, as well. This very clearly indicates what the management company will not take responsibility for in regard to the property. This section may include things like major repairs to the building. Fees: The fees section will discuss the cost of the services covered under the contract. Fees may differ, depending on area. In some instances, it may be a flat rate per rental until per month. Some property management companies will charge a percentage of total rental income per month, up to 12%, but it may be as little as 4%. When researching fees against the current market, remember to pay attention to the services covered by the property management company – higher fees can sometimes indicate more complete services. It will also lay out the cost for any additional services that might be added to the arrangement. Extra fees: There may also be a section of extra fees. 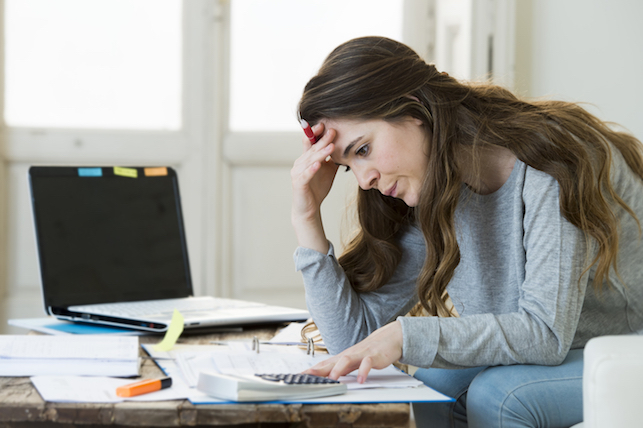 Extra fees might be added if the owner wishes for the property management company to take on extra responsibilities which aren’t in a standard contract. Those responsibilities would be stipulated within the extra fee section. Property Owner Responsibilities: The service section (see above) includes exactly what responsibilities the management company will complete. There should also be a section discussing the responsibilities of the owner. This will often include a clause discussing the exact type of insurance that the property owner needs to carry at all times. Other issues that may be covered in this section include fund allocations. It may be stipulated that the property owner maintains a fund available to the management company to cover repairs and emergencies in the building. This would also stipulate the protocol for using funds and accounting / purchasing. Property Owner Limitations: Many agreements also include a section which governs what a property owner cannot do. For instance, most contracts will include a clause stipulating that the owner cannot place tenants in the building because those residents might not adhere to the management company’s guidelines. There may be set limitations so that the management company can handle all aspects of day-to-day running of the building. Length of Contract: A standard contract is often one (1) year. Even in cases where the partnership lasts many years, it’s important to review the contract annually to make sure that all of the important issues are still adequately covered. Fees may be raised over time and there may be new services to consider. Termination Clause: There is always a termination clause in your contract. This clause protects both parties in the event that the relationship is not mutually beneficial. It’s important to study this clause before entering into the contract initially. There may be fees stipulated for an early termination of the contract. There will also be a set time of notice for termination. Either party would need to let the other party know of their intent to sever the relationship in advance. The contract might determine a 30 day notice for termination but it might be much longer. Some contracts include specific reasons that need to be met for termination. The fees associated with the termination clause should be carefully considered. Liability: Liability and indemnification is the section which covers legal liability with regard to a property. This clause should stipulate the management company’s liability in cases dealing with injury or personal claims against the building. In cases where the property management company was aware of a hazard and didn’t act to fix it, they might be found liable. This section of the contract stipulates which entity is liable in each type of situation dealing with the property. This section will also include clauses about liability should tenants break their lease, causing financial distress to the building owner. Compliance Issues: There are often legal compliance issues in renting property to residents and commercial enterprises. This section of the agreement will determine the exact responsibility of the property management company in this regard. This is the section where you would find the verbiage about equal opportunity housing and may discuss specific local codes and laws. Funding / Advances: There is often a section included to discuss the responsibility of the owner to include funding for day to day running of the property and possible emergencies. This section might also include a section on advances. In some cases, property management companies will advance money to cover costs for a building at the behest of the owner. In that case, there may be fees associated with repayment of funds and there will be a set timeline as to when the full payment needs to be returned to the management company. 6. Do You Need One? Whether you own a building or are considering taking on the responsibility of becoming a property manager, a well-written property management agreement is a necessity. 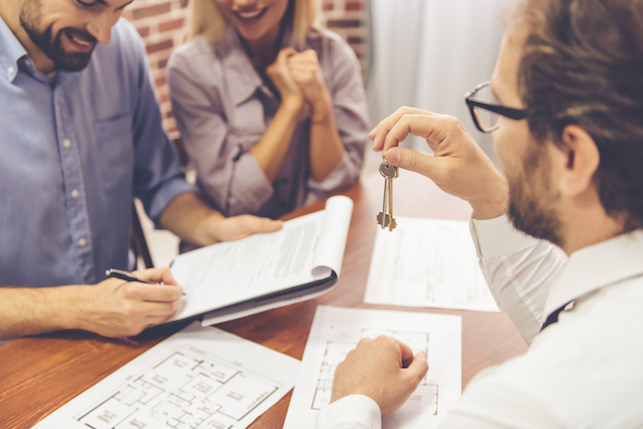 You should include all of the pertinent services and fees that are necessary for a long lasting and beneficial agreement in the running of the property. You’ll also have peace of mind that all of your financial and legal liabilities are protected. Use this contract to help define responsibility in the management of the property so there are no miscommunications. With excellent communication, there’s less chance of a needless dispute and there’s a greater benefit to any residents because the building is better maintained.